Hi! 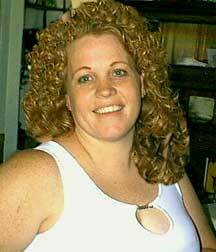 My name is Virginia Smith. 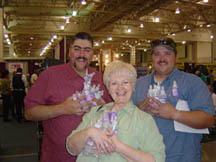 I recently purchased the Muscle Mist from the Fresno Fair vendor, Bree Yap and Chris Hardy. I had been for over a year experiencing pain in my lower back but only on my right side. This pain would often wake me up in the middle of the night. I would then have to go and try to sleep in the chair. Doctors could not find anything wrong and just kept on giving me pain pills. Well, I do not like to even take aspirin if I can avoid it. I have been using the Mist for a couple of weeks now. First every night and sometimes throughout the day. Now, well, let&apos;s just say if I get a little pain, on goes the spray. I have slept through the night now for at least 2 weeks. Please feel free to use this in your testimonial section. I also sent along a picture if needed. Thank you so very much...everyone is getting this for Christmas. I was at the L.A County Fair and had no intention of buying aromatherapy oils until Bree Yap had pulled me aside and asked if I had any pains on my body. At the time my feet were aching because of all the walking all day. She sprayed the Muscle Mist on my feet and 10 minutes later I was convinced! So I went back to the booth and I bought a big bottle of Muscle Mist. Then she told me about the stress relief oil. Well, since I work at a stressful environment, I decided to purchase that bottle as well. Three days later, my stress was less! I have returned home happy every day since buying that product. Thank you for saving my life. It is truly a blessing. 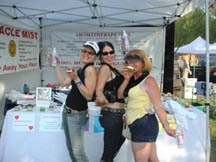 Thanks again, Bree - Jake C.
I bought a bottle of your Muscle Mist at the Big Fresno Fair on the 10th. The demonstrator sprayed some on my wrist, where I have carpal tunnel. The pain went away within minutes and as of now, 7am on the 11th, the pain has not come back. This email is to Bree. 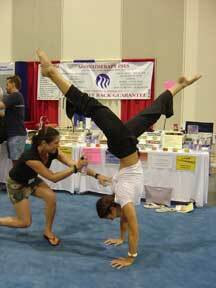 We met you at the New Life Expo in SF this past weekend. I was skeptical about your product Muscle Mist, but my partner convinced me to check it out. I have had pain in both of my feet for years; plantar fasciitis and recently Achilles tendonitis. After you sprayed my feet the pain went away. I couldn&apos;t believe it!!!!!!!! I am now sharing your product with those close to me who are also in pain. Thank you for your time and interest in helping others. Dorrene and Polly. And how about those Bay Bombers? No more messy creams! Six months ago my mother-in-law sent me a bottle of Muscle Mist for my birthday. I thought it was an odd gift, until I tried it. For years, my 10-hour days on my feet as a retail manager were murder on my knees. Every morning started with smelly creams on my knees, and then ice at night to give me enough relief so I could do it all again the next day. But that has changed. Now my mornings start with a quick spray of Muscle Mist and I&apos;m on my way. The relief is unbelievable! The pain I used to endure is gone, and there are no messy creams. No more pain and no more mother-in-law jokes for me! Thanks, Muscle Mist! I&apos;m 16 years old and play volleyball. For the past two months my knees have been bothering me. I was very skeptical about the Miracle Mist but Bree said I had to try it out &apos;cause she said she has bad knees herself. When she sprayed the Mist, it worked in 1 minute. It smelled good, too. Aloha - I have leg cramps at night that can get so bad I can&apos;t even stand up. I have tried all kinds of things: calcium, potassium, drinking more water, homeopathic remedies, heating pads, hot wet compresses, etc., but since I was given a bottle of Muscle Mist, it is my first step when I feel a cramp starting, and 95% of the time, that is all it takes to get it to go away! I really appreciate getting my sleep since I found Muscle Mist. Now I am hooked and I have to reorder! I am living proof Muscle Mist worked - from New Jersey!!! Carol D.
My wife and son came back from the local Strawberry Festival with the Muscle Mist (Miracle Mist) and they started to use it right away, my son for his baseball and my wife for her workouts at the gym. I was too busy working around the house and ignoring my slight and subtle body aches. We recently bought a boat and we started to water ski again. After I pulled a muscle in my upper shoulder (which really hurt), my wife suggested using the Muscle Mist. I could not believe how excellent and fast Muscle Mist worked. I now will use it for any minor or major body aches or pains. Life is too short to walk around in PAIN. Thank you. Ed Martinez - Santa Cruz Ca. While at the Balloon Fest visiting from Chicago, my back spasmed like it never has before. I wanted to keep shopping and someone told me he saw some "relaxed" people down the way. I hobbled down holding my back the whole way. 20 minutes after spraying Muscle Mist and sitting and stretching, my back (and neck and feet) all felt released from pain. Thank you! It is a miracle!!! My lower back was so tight from intensive backward bending in yoga, but Waaalaaa....Muscle Mist warmed & relaxed my back in 2 minutes. Before I could walk away I was sold. I went home with 2 bottles. Thanks, Muscle Mist. I, personally, have not tried your product. However, at lunch yesterday there were six ladies, including myself, who had just finished 18 holes of golf and enjoying lunch. Someone brought up your product, Muscle Mist. One of the ladies happened to have some in her purse. Turns out 3 of the ladies use your product and said how much they liked it. One of the other ladies wanted the address to make an order. Fortunately, I do not have arthritis pains (which they all had) but was interested for my daughter. A friend gave me some when I pulled a muscle in my side and after 3 days the pain was gone. I have rheumatoid arthritis and thought that I would be in the bed for a week. The Muscle Mist is great. It kept me from taking a lot of pain pills and muscle relaxers and anti-inflammatory drugs. My husband snores bad and if the snoring oil works as good as the Muscle Mist, I will be double happy. Thanks for the show you had in Texas or my friend wouldn&apos;t have bought this and I would have never known about it. Thanks, Wanda. Last night I had a horrible, horrible leg cramp in the middle of the night. I tried everything to work it out. I remembered I had purchased the Miracle Mist and I made my way to the restroom where I had put the bottle (of course it took me about 7 minutes to get there because I couldn&apos;t straighten out my leg!!). When I finally got there, I sprayed the Miracle Mist all over the affected area and within a minute the whole thing was gone. I didn&apos;t need to rub or work the leg cramp out, it just disappeared!! Thank you Miracle Mist!! I am forever in your debt. I will always have Miracle Mist within my reach as I suffer from leg cramps ALL the time. Donna M.
We pushed wheelchairs all day. After being sprayed, Larry&apos;s knees felt better in 5 minutes. Laura has rheumatoid arthritis in her feet and hands. After spraying hands and feet, the redness, swelling and pain went away. Phyllis&apos; shoulders were hurting and within 10 minutes she was feeling much better. Thanks from the Country Oaks Care Center. I am 44 years old. I have had lower back pain leading to sciatica. I got sprayed and almost immediately, like within minutes, I was pain free. I got sprayed for the pain due to a heel spur and thanks to you, I have major relief. 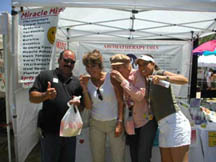 Love you, Evie C.
My husband and I were recently at the L.A. County Fair and visited your booth. I suffer from a pinched nerve in my back which causes my left hip, leg and knee to hurt so much at night that I am up almost every hour because of the pain. It also affects me when I walk for any length of time. I have had two series of epidurals and the last one, unfortunately, did not work. My only option at this point is back surgery. I tried your Muscle Mist while at the fair and it gave me almost instant relief. I waited for over an hour before going back to your booth to purchase an 8 oz bottle of Muscle Mist as I was still somewhat skeptical about its ability to ease my pain. After using Muscle Mist every day for a week, I am "sold" on this product and what it can do for me. I am placing an order today for more as I do not want to run out. My only hope is that you will make it available in larger containers sometime in the near future. Judy Hultine - Palm Desert, Ca. Dear Chris, the Muscle Mist does help for pain relief, but it&apos;s hard to spray yourself on the back. I ended up spraying Mist on my fingers, then rubbing it in. Thanks, Bea Y. 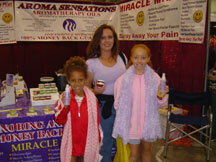 My girlfriend and I went to the home show in Sacramento where we saw the Aroma Sensations booth. My girlfriend had hurt her shoulder. You guys sprayed your new Miracle Mist on it and she felt better. Her mother ended up purchasing a bottle for my back. I was in a car accident about 2 years ago....my back is constantly aching. For the past two years, the pain has been so bad that I have undergone extensive physical therapy, regular visits to the chiropractor and heavy daily doses of muscle relaxers and pain killers to subdue the pain.... My girlfriend sprayed the Miracle Mist on my back that day and the pain seemed to subside a little. I continued to apply it daily, sometimes twice a day. After spraying the Miracle Mist on I seemed to find relief for almost the remainder of the day. Sometimes after a hard day at work, I&apos;ll apply some more in the afternoon. Honestly for the past two weeks, I have not taken any muscle relaxers or pain killers...After 18 days of use I still have about 3/4 of the bottle left... I am truly amazed and pleased with the Miracle Mist! --Anthon B. 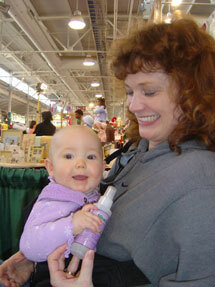 When I was approached at a home show & asked to try the Muscle Mist I was, to say the least, very skeptical. I let them spray my back which, due to being a truck driver, always hurts, walked around for about 30 minutes & went back and bought the Muscle Mist. My son-in-law is a paramedic and today he was complaining about his hip hurting so I let him try my Muscle Mist. He told me to order some for him -- it was the best thing he ever had for muscle strain. My daughter-in-law is a CNA/Home health care worker and I sprayed some on her neck -- she also wants me to order her some. Can I get this in 55-gallon drums? For all of you out there who know about Muscle Mist and mostly for those of you who don&apos;t, this stuff is AMAZING!!! From tendonitis to mosquito bites it takes away the pain and relieves the itch. I started using it on my Achilles tendon to help with the pain and now it is the first "first aid" I reach for. The other night I was out in the yard about twilight and must have gotten 6 or 7 mosquito bites. Within 30 minutes I was scratching like crazy and figured why not? So I gave the bites a few sprays and just like that the itching stopped. People think I&apos;m crazy when I tell them about "Muscle Mist," but once they concede to try it on their little aches and pains, they are hooked. I just ordered another 3 bottles today and I&apos;ve got more orders coming in for you. You do realize that you are now committed to supplying your magic for life!!!! Lynda, Modesto Ca. I tried the Muscle Mist for the first time at the Balloon Fiesta. I will have to admit that I was skeptical at first, but after they sprayed me, I could feel the effects. I will spread the word in my hometown of Milwaukee, WI - Maureen W.
I am Rob Williams, a Class A softball player from Texas, who stopped by the Muscle Mist booth to check out the product. After Chris sprayed my aching knees, neck and sore shoulder, I could feel results in about 30 seconds. I felt great for 3-4 hours after she applied the product. I like it when the sprayed injury goes from cold to hot. I ordered two large bottles yesterday. Muscle Mist works!!! After being in a car accident, I&apos;ve always had major back pain and was always looking for something like this. It works...Yeah baby!!! 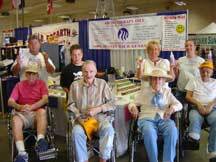 We came to the New Mexico State Fair and bought 3 bottles of Muscle Mist and loved it. We were in a car accident a couple of years ago and it helped. We came to the Balloon Fiesta hoping to find you there. We got more. Great stuff. 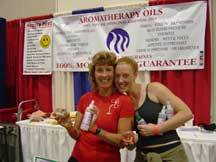 You&apos;ll be hearing from us again from Colorado - Linda H.
I am very impressed with Muscle Mist. I have TMJ, my sister has fibromyalgia and it works better than any pills we have ever taken! Thank you! Kendra, Joy & the whole Loesche Clan! Hi Chris, I am so glad I walked by your booth at the Balloon Festival in Albuquerque. My husband was having trouble with his arthritis in his elbow and I convinced him to try Muscle Mist. It helped him enough that he bought a bottle. I have a dog that is 16 years old and has arthritis so bad that she walks on 3 legs, so when I got home I used the Muscle Mist on her. After 3 times she was running down the hall like a puppy! I have just ordered some to carry in my massage business so I really believe in this! Thanks for finding this! -Donna P.